The real agricultural growth since 1960 has averaged about 2.8 per cent. The amount of credit extended to farmers has gone up from ₹4.1 lakh crore in 2009-10 to ₹9.46 lakh crore in 2016-17. But, much of this has gone towards short term credit shows RBI data because of interest subvention. The share of long-term loans as a percentage of total loans has declined from 75 per cent in 1990-91 to 39 per cent in 2011-12. In 2017-18, a total of ₹20,339 crore was set aside to meet obligations arising from interest subvention being provided to the farmers, adds the Survey. Over the past 30 years, India has seen a 13 per cent decline in the water table, with depletion in North India, the most alarming. 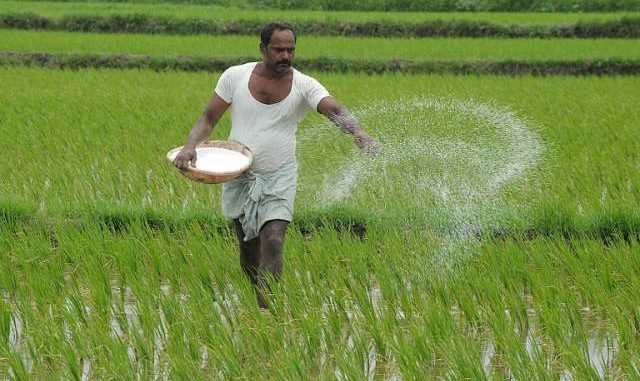 Crop diversification has declined sharply in Chhattisgarh, Haryana, Madhya Pradesh, Odisha, Punjab and Uttar Pradesh. The index of crop diversification (where the value ranges between 0 and 1 and higher the value greater the diversification) for Odisha has declined from 0.740 in 1994-95 to 0.340 in 2014-15. For Punjab, it dropped from 0.71 to 0.65 and for Haryana from 0.83 to 0.77. While Odisha’s case can be attributed to excess rains that it received, the case of Punjab and Haryana is purely a consequence of the price and procurement support. Between 1983-84 and 2015-16, India has seen area under rice go up from 31 per cent to 35 per cent and share of wheat moving higher from 18.8 per cent to 25 per cent. In Punjab, wheat and paddy cover 83 per cent of the cultivable area of the State. The obsession for wheat and rice cultivation over years is explained by reasons including availability of better price support, quality seeds and availability of advanced technology and research. The increase in minimum support price (MSP) in the case of rice and wheat have been very sharp in the last decade. While in 1990s, the increase in MSP every year in these two crops was just about ₹20-40/quintal, in the last 10 years it was about ₹50-150/quintal. Rice and wheat aside, in recent years, cash crops — sugar cane and cotton, too have taken a larger share of the land to better price incentives (FRP in sugarcane). There is a problem with such a skewed agriculture. All the crops that are grown excessively today — rice (for producing 1 kg of rice about 3,000-5000 litres of water is required), sugar cane (1,500-3,000 litres) and cotton (7,000-29,000 litres), are all water-intensive. With 50 per cent of agriculture in India still dependant on irrigation, it can’t afford spending a good portion of its water on just two/three crops. If the regime of subsidised power and price supports continue, then, one can’t check the irresponsible use of water or sowing in select crops. In many arid areas of the country including north-Karnataka and central-Maharashtra and Telangana, there is large-scale sowing of sugarcane and cotton using water from borewells. The subsidised power from state governments has resulted in reckless use of water, as is the urea subsidy which has resulted in overuse of urea and deterioration in soil quality. While the government has recently started encouraging crop diversification in States including Punjab and Haryana, it needs to be holistic. It is not enough to train farmers on sowing of coarse cereals, but, also encouraging consumption of these among general public. If there no takers for these coarse cereals when they come to the market, all the efforts to bring crop diversification, may go waste.